Photos from Kolkata, India (a.k.a. Calcutta), the old colonial mixing bowl. Read more about travel in India. 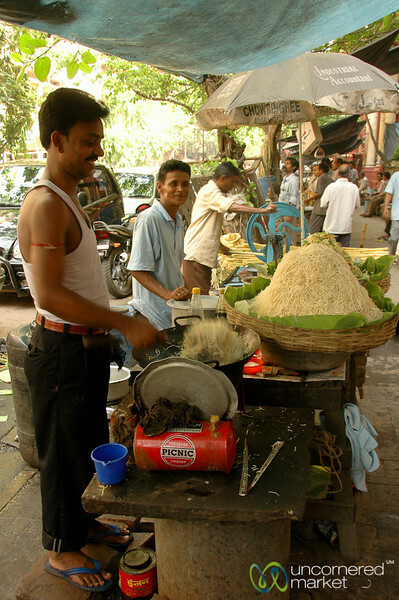 Chow Mein, a version loosely based on Chinese noodles, is fried up on the streets of Kolkata, India.